Throughout the year, couples’ date nights can range from quiet evenings at home to wild nights out on the town. 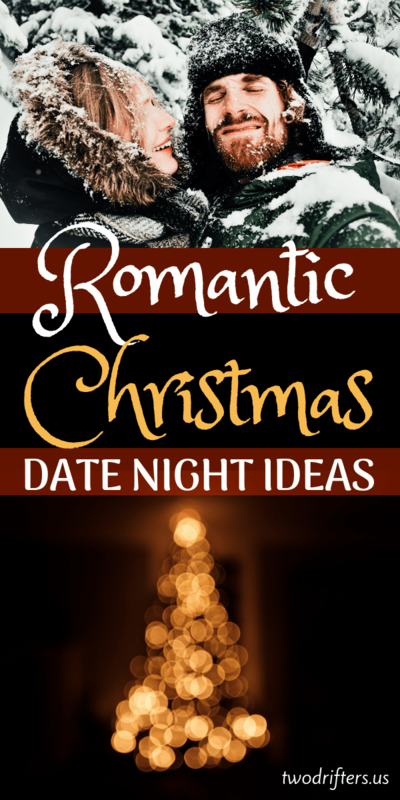 But it is during the Christmas season when the coziest of date night ideas present themselves. The snowy weather and anticipation-filled spirit of the holidays add a special level of love and romance to this season. 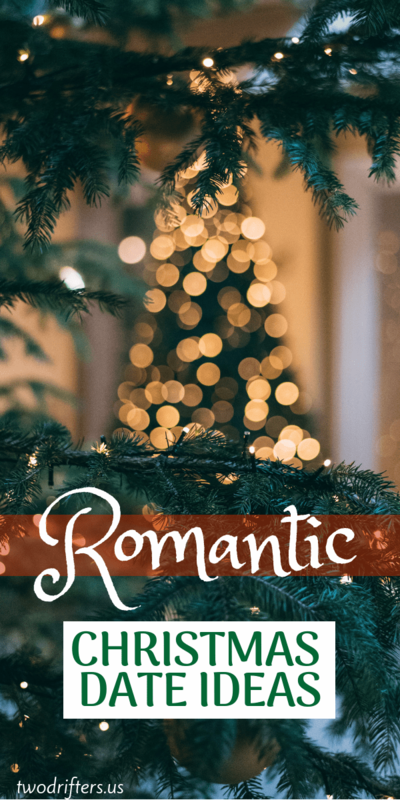 In addition to your standards (dinner and a movie, etc), we’ve got a few unique and oh-so-festive Christmas date ideas for you to consider. We’ve chosen 12 (for the 12 days of Christmas) so pick a few and have a great time with the one you love. Classic Christmas movie night is a go-to when it comes to Christmas date night ideas. During the holidays, you probably already enjoy watching your favorite Christmas movies. Well, this is an opportunity to share your favorites together, or to discover classics you’ve never seen. Have you both seen It’s a Wonderful Life all the way through? This is your chance. Another great idea is to share your favorite childhood Christmas movies with one another. It is so sweet to watch the Grinch and Rudolph as adults! Grab a cup of hot cocoa, some footed pajamas, and get Christmassy. There are some date ideas Christmas presents automatically. Like, gift wrapping. For a lot of us, gift wrapping is an annoying chore. What with trying to get the creases right, not get your tape stuck to the carpet, and keeping your cat from laying in the wrapping paper…it can be not-so-fun. Well, why not make it fun by turning it into a Christmas date idea? It will go much faster and laughs are pretty much guaranteed. Grab your tools, turn on some holiday music and wrap together. For best results, add some adult beverages to the mix: eggnog, mulled wine, or a hot toddy are all recommended choices. If you live somewhere with Christmas tree farms nearby, there’s nothing so Christmassy and satisfying as chopping down your own tree. Go pick out that perfect fir and bring it home. Decorating can commence soon after. If you don’t live in a place where Christmas trees are grown, you can still hunt for a tree together. The pre-cut variety are everywhere during the holidays. Perhaps you can spend a bit more time finding the perfect decorations at the store, or making some of your own for that vintage Christmas feeling. What would Christmas time be without cookies? Holiday cookies are an intrinsic part of the season. One of our favorite Christmas date night ideas is baking cookies. But don’t just bake a single batch and call it a night. No, no; it’s time for a cookie-baking bananza. Bake a ton of cookies together, of all different flavors and varieties. You’ll have the most fun with sugar cookies that you can decorate with icing. The classic Christmas cookie cutter shapes are a tradition. When you’re done, deliver the cookies to friends and family, or take some to a local nursing home or homeless shelter. After all, giving to others is so much of what the Christmas season is all about, and doing something good together is sure to bring you closer. When I was growing up in Florida, we didn’t have any snow of course. But people made up for that by decorating their houses to the nines. Every year, my mom would take me and my sister driving around to look at all the Christmas lights and decorations. It was a great tradition, and something that feels incredibly festive to me. This is a terrific Christmas date idea! Take your significant other for a drive in search of the prettiest Christmas lights out there. In some areas, it’s worth doing a little research before you go; some neighborhoods pull out all the stops, with every house decked head to toe in Christmas decor. Don’t forget to make a Christmas playlist for the road trip. Perhaps not the most conventional of holiday date ideas, a Christmas Movie Drinking Game is a fun option when you’re feeling a little silly. This is especially perfect if you’re snowed in and going stir crazy! Basically, you can make up whatever rules you want to for your Xmas Drinking Game, but a few suggestions would be to take a sip everytime someone says “Santa” or “mistletoe” or whenever snow falls during the movie. Have fun and take it easy: that eggnog can be quite potent! Some date nights don’t need much planning. Why not indulge in a quiet Christmas evening together? All that is required for this date night is a blanket to cuddle in, some hot cocoa or other warm drinks, yummy snacks, and books to read side-by-side. If you have a fireplace, this is also essential. Make sure you have several interrupted hours available to enjoy this date. This is not going to be the most exciting or interactive date night for couples, but we pretty much guarantee you’re going to feel relaxed, happy, and lovey both during and afterwards. PS: This is an ideal choice for a quiet New Year’s Eve date night, too. Want to get out of the house and do something festive? Christmas craft shows and fairs abound during this time of year. Go explore one together and spend time talking to the artisans and craft makers. You’re bound to find something cute to take home with you, and it will be a good souvenir of a sweet Christmas date memory. We all know that Christmas time is busy—especially in the malls and stores. One kind of quirky and unique Christmas date idea is to go people-watching during this time of year. Grab a Gingerbread Latte and sit on a bench to watch the people pass. This is especially fun if you sit near the mall Santa and you can watch the joy on the children’s faces when they get to visit with Santa. Watching people in a public place can be fascinating, but Christmas adds a lot of energy and emotion. You can chat with your partner and try to guess the stories of the people you see go by. At Christmas, you’re likely to see a lot of people in the midst of the holiday hustle and bustle, so it’s an ideal time for people watching. Let’s get crafty this Christmas! Now I’ll be the first to tell you, I am terrible at crafts and DIY of any kind, but doing it with my partner makes any activity more fun. Christmas lends itself to many different crafting projects. You can make some DIY Christmas decor, put together handmade Christmas gifts for loved ones, and so much more. Put together a gingerbread house. String popcorn for the tree. Spend some time this season putting something together with your significant other. The act of creating something will definitely cement your bond and you’ll feel proud of your join work as a team. And of course, you’ll have an awesome item to keep when you’re finished! There’s so much going on during the holidays, it can be hard to make room for an extra event in your schedule. But something really special you can share as a couple is attending a musical event together. At Christmas, there are always countless orchestral performances, choir concerts, and other holiday entertainment. Make it a priority to go to one of these together. Christmas music is so beautiful, and it’s such an intrinsic part of the holiday season. Hearing some of the classic carols and tunes performed live is a wonderful part of the season, and it definitely qualifies for a very romantic date idea. 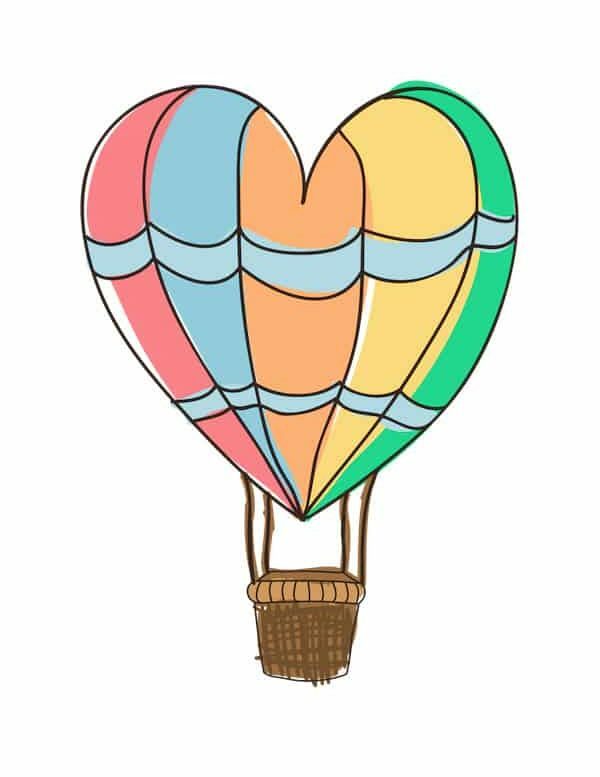 READ NEXT: The Complete List of Date Ideas for Couples - Over 1,000 Romantic Dates! Not every date night needs to involve just you and your sweetheart; group dates can be a lot of fun. Why not have a Christmas-themed game night with some other couples? You can listen to Christmas music while you play games and eat and drink together. While you can play your old stand-by’s (who doesn’t love Clue?) you could change things up by including some Christmas board games, like this Christmas Monopoly or Christmas Trivia. 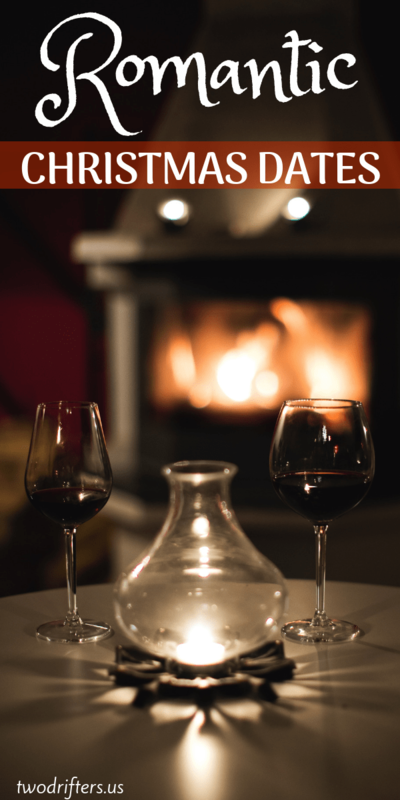 As you get ready for all of these wonderful date nights with your partner, be sure you have the most important items on hand: You’ll want a warm blanket to cuddle under together, and delicious hot cocoa to fill your mugs. Make lighting a fire easy with instant firelogs. Get outfitted in some cozy Christmas pjs (maybe best for nerdy married couples like us). Finally, don’t forget some candles to help set a romantic mood. Pine-scented ones are a Christmas fave! These are such cute ideas! I might have to do that cookie baking one! :]! Such lovely ideas! Christmas is the most wonderful time to fell in love!